Located in the city of Borås, 60 km East of Göteborg, the Borås Stadsteater is a municipality-owned theater. Founded in 1964, it moved to its current building in 1975. A typical 1970s-style provincial venue, the theater features a 500-capacity main auditorium with raked seating and a balcony. The main focus is conventional theater, for the most part reinforced by lavalier microphones, but the theater also hosts musical productions and occasional concerts. The programme of events includes both in-house productions and visiting acts. By 2016 the ageing PA system had become too small and outdated to meet the demands of modern audiences, so the management team worked with the local authority to find a solution. An Alcons LR7 system was installed, along with a new Allen & Heath dLive digital mixing system. 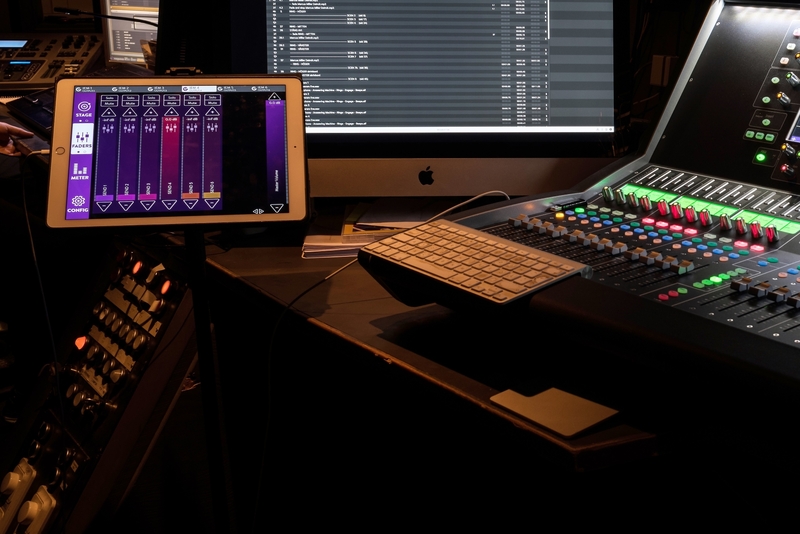 “Apart from our friends at Electrosound talking very enthusiastically about the system, there was a lot of buzz around the KLANG solution online so we downloaded the demo KLANG:app and were instantly hooked,” said Walka. In the past they felt IEM was a necessary evil, but with KLANG 3D IEM they loved it. The two lead actors both had their first experience with IEM on Cabaret and Walka felt that by controlling their own mix via the KLANG:app, they had an easier time adapting to the sonic landscape that is singing with in-ears. Headquartered in Aachen, Germany, KLANG:technologies is the world’s first manufacturer of truly immersive 3D in-ear monitor mixing technologies. The company’s core product, KLANG:fabrik, is a professional rack-mount monitoring mixing engine specifically designed to be used with IEMs and provides musicians with individual, natural and three-dimensional sound. Next story 3D 인이어 모니터링을 체험해보고 싶으신가요?